Whole House Water Filter or Drinking Water Filter - Which is Best? There is no single correct answer to this as everyone's situation is different and a number of factors need to be considered. Ideally, before choosing any water filter, a water test should be undertaken to determine accurately what is in your water and what needs to be removed. For example you probably would not need a filter that removed fluoride if your water is not fluoridated. Whilst a water test may seem like an unnecessary expense when you're already having to buy a filter system, it can in fact save you money over time by avoiding paying for a system that does more than it needs to or doesn't take out something that needs removing. Moving on from this, there are two routes to go; either to install seperate filters in your home or to filter the whole of the household water at entry. We will look at some pros & cons of each. A kitchen drinking water filter gives you the advantage of having a very wide choice of filter systems to choose from both in terms of functionality and price. 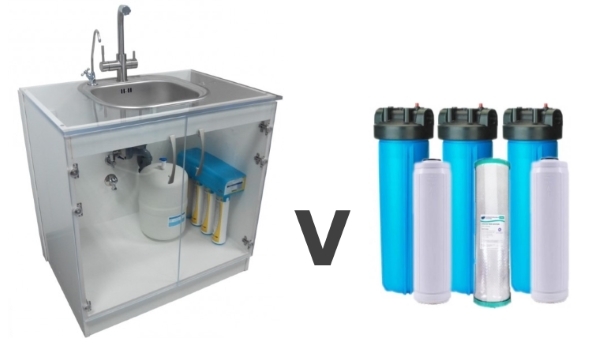 This may be especially relevant if you are on a budget; a reliable under sink water filter system can start from under £60 and will remove chlorine, bad taste & odour. 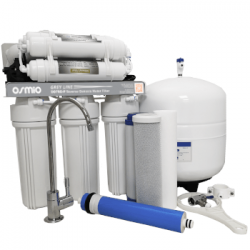 Also you have the opportunity to use a reverse osmosis water filter system for ultimate purity, which are now available with alkalising cartridges which add beneficial minerals back in to the water. 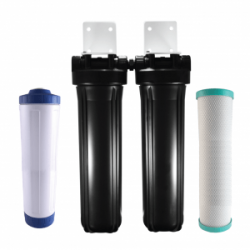 Drinking water filters are relatively easy to fit, easy to maintain (many reverse osmosis filters now use quick change filter technology) and give a wide choice in filtration parameters. The cons for some people would be that normally you will have to have a seperate drinking filter tap (supplied as part of most kits) or install a three way triflow kitchen tap which would add to the cost but can also be quite stylish & convenient. Some under sink water filters such as the EZFITPRO series however can be plumbed in directly on to your 15mm cold supply, allowing you to continue to use your existing kitchen tap. 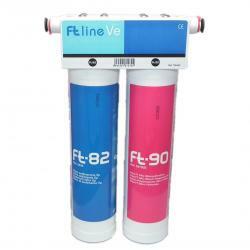 Due to the increased flow volume such filters are subject to they usually require more frequent fiter changes than other undercounter inline water filters. If therefore you are only concerned about the water you drink directly an undercounter water filter would make economic sense. It may be however that you are also concerned about shower & bath water and for good reason. The greatest intake of chlorine into your body is normally via the daily shower. This is due to the fact that the chlorine vapourises and is breathed in to the lungs where it enters directly in to the bloodstream. The remedy is a shower filter, these are relatively cheap to purchase and very easy to install but that still leaves the bath, which is more difficlut to filter individually and it is in such situations that having all the household water filtered at source provides a definate advantage. A whole house water filter gives you the peace of mind on knowing that wherever water is flowing in your house it is safe & free of contaminants; depending on the filter combination installed this could include chemical, biological threats or both. This may be of particular concern when there are young children in the home who may ingest shower or bath water. Some filter types, namely the Active Ceramics, have the added advantage of reducing limescale throughout the home creating long term savings on breakdown costs for appliances. 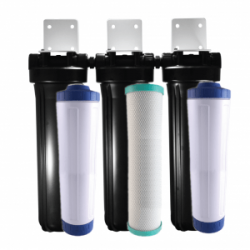 Once again, filter cartridge types are available for a wide range of contaminant removal, including fluoride, heavy metals, PCBs, bacteria &cysts, hormones and of course chlorine. 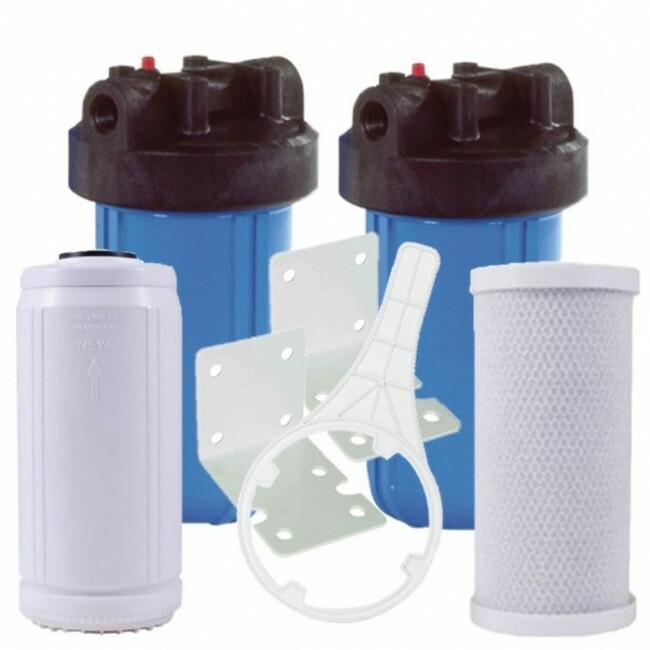 Whole house water filter systems in particular lend themselves to tailoring to specific needs and can be installed in single, double or triple filter housing combinations to allow removal of the maximum amount of contaminants. An important consideration when choosing these systems however is going to be the amount of space available where they are to be installed which is normally near where the rising main enters the property, before the pipes divert around the house. It can be a bit more involved fitting a whole house system than a simple inline under counter water filter and it is strongly recommended that a bypass system be installed at the time to isolate the housings if needed as this makes changing the filters a lot easier. 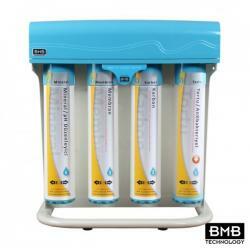 Whole house filter products range from a simple sediment removal filter at £86 up to the sophisticated Osmio PRO-111-XL Ultimate with three filter cartridges which includes the highly effective Active Ceramics cartridge capable of removing fluoride from your entire house together with limescale reduction, not only that but it also adds anti-oxidants and beneficial minerals back into the water. The Active Ceramics has a three year cartridge life making it a very cost-effective investment. The other two cartridges are the carbon block which reduces dirt, chlorine & Volatile Organic Compounds (VOCs) and a KDF/GAC cartridge for further eliminationof chlorine, heavy metals, pesticides, herbicides, bacteria & algae. Additionally, this filter works well in low pressure situations. One consideration needed with the whole house approach, not normally needed with undercounter filters is the flow rate requirement. 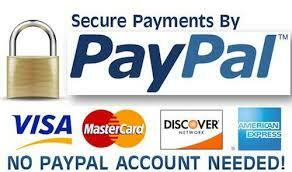 It is necesary to install a system which can cope with the peak demand in the home without impeding flow. To help you to work out your flow rate we have produced a Calculate Your Flow Rate guide which gives guidelines for ensuring a filter of sufficient capacity is selected; it is always better to choose a capacity that larger than needed rather than smaller. If you need assistance in considering any of the issues raised here before purchasing your new water filter system please contact us at Puriflow Filters where we'd be pleased to help you make the best choice for your needs.